It’s the first vision of your home that visitors see. So styling your home’s exterior can give clues to the beauty within. The outside of your home is in many respects the most important part of all. This is particularly true at certain times, such as when you are attempting to put the house on the market and want to improve your curb appeal. However, it is likely to be something that any houseproud individual seeks to achieve at any time. If you are keen for your home’s exterior to look as classy and stylish as possible, then read on. Let’s look at some essential ways that you can make sure this is the case for your home. The front door is one of the most important parts of the whole outside of your building. Fortunately, if you want to give it a new lease on life, then it’s relatively simple to achieve. One of the easiest and most effective methods is simply to paint the door a new colour. What colour to go for is entirely up to you, and depends on what colour scheme and themes you have going on throughout the home. 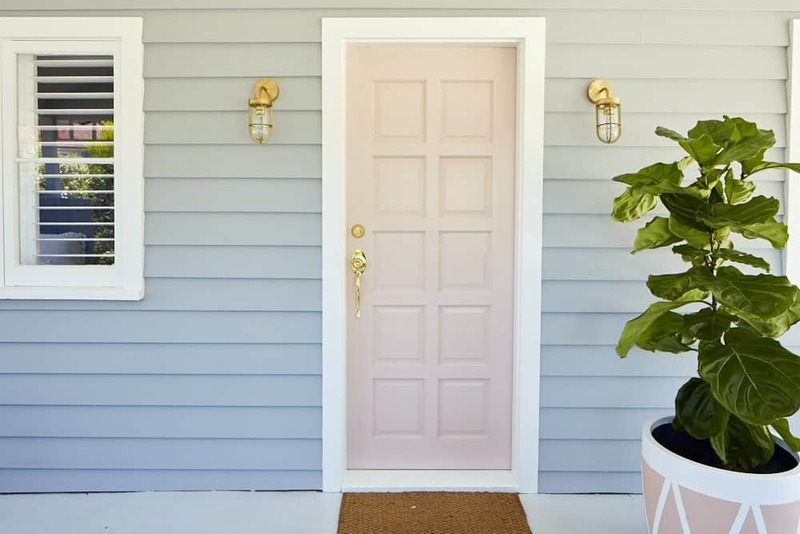 But above all, using the door as a focal point and bringing out its character is going to make a huge difference to how your exterior looks and feels. What’s more, painting your door is quick and easy, and fairly inexpensive to do. Usually, we are used to seeing the same old windows in homes wherever we look. If there is one sure-fire way to make your home stand out it’s by changing your windows and introducing new, modern installations instead. You actually have wonderfully various options here, but if you are truly going for style then think about using aluminium windows instead of the traditional wooden window frames. Aluminium windows can add a modern or a retro feel to your home depending on the style you choose. New windows will greatly improve the way your house looks from the outside and add value to your home. Aluminium windows are available in a small variety of colours – black is very stylish – and some even come in a ‘wood-look’ such as those from Stegbar. These windows are long-lasting as they are highly weather-proof, and the effect will be dazzling to say the least. If you have a front lawn then it is something of a mixed blessing. On the one hand, it can be a lot of work to keep maintained, but on the other having a lawn can easily add a sense of warmth or grandeur to your garden. If you do have lawn you will need to keep it as well trimmed as possible otherwise its scraggly look will detract from achieving a stylish home exterior. Keep your lawn trimmed, especially in summer, and your home’s exterior will retain a sense of ongoing style. Ask your local hardware store or grass supplier to find the right lawn for your home. What’s the climate in your geographical area? What is your soil type? Is it well-drained? Will you lay seed or turf? All these questions and more will be answered by a lawn installation professional. Bear in mind that there are many tools and accessories to help you maintain a perfect lawn. For example, different blades for a cutting and trimming, whipper-snippers, edge trimmers, secateurs and branch loppers. So seek out the right tools to help you make light work of gardening chores. Header image courtesy of Morgan Howarth Photography. Does your home need a make-over? Are you sick of clutter? If you need help creating the stylish home you know you deserve, then please contact us for more information. We provide colour consultation, design, flow, and services to maximise your home for the lifestyle YOU want.